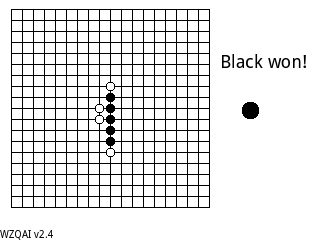 A game for 1 or 2 players where one side must fire bullets at the other side, and the other side must avoid being hit by them. 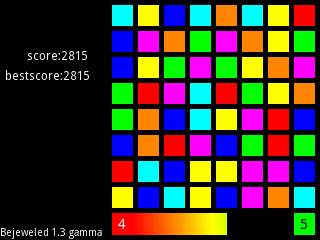 Clone of Bejeweled, where you must swap colored blocks in order to get three in a row of the same color to eliminate them. 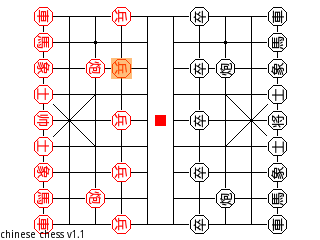 Two-player implementation of Chinese chess. An early beta of a new code editor, with line numbers and syntax highlighting. 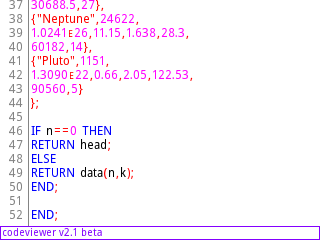 A code viewer, showing the code for your installed programs with syntax highlighting and line numbers. 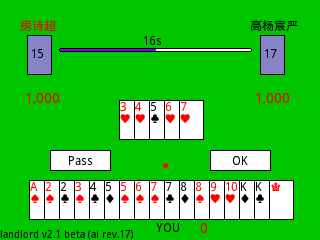 Play against the computer to get five in a row first. The popular game of 2048, where you need to add the numbers in the squares to make powers of two. 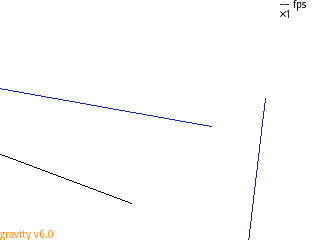 A gravity simulator. 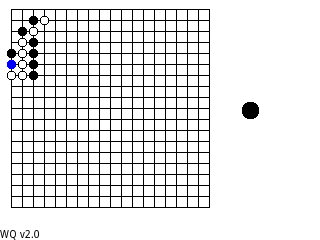 Press shift to create a planet, alpha to create a star, and EEX to create a black hole. 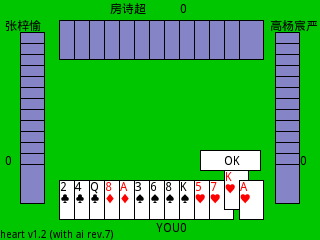 Play the card game of Hearts. Implementation of "I Wanna Be The Guy". 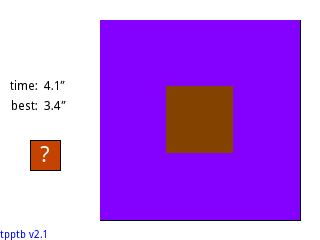 The parameters and graphics are almost the same as the original Windows game. 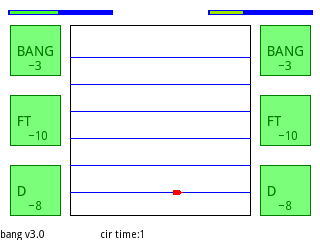 However, many functions such as platforms are not included for performance reasons, and the collision contact is also not as well implemented as the original one. 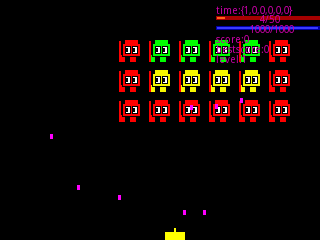 Clone of the famous game Space Invaders, where you must shoot the aliens before they shoot you. 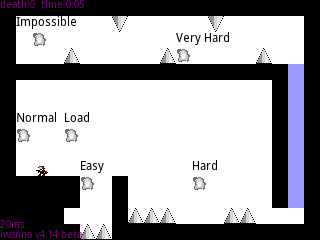 Also includes a level editor and a sample level. Similar to Fruit Ninja. Use your mouse to operate. 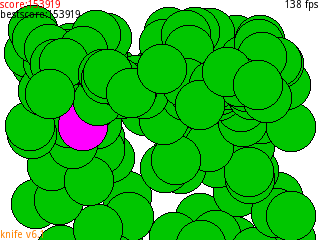 Red circles are bombs, so you should avoid cutting them. 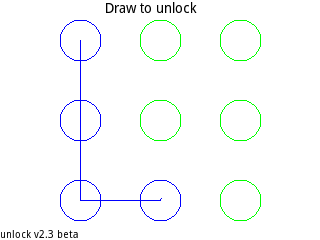 Simulates a lock screen where you must enter a pattern to unlock, similar to what Android has. 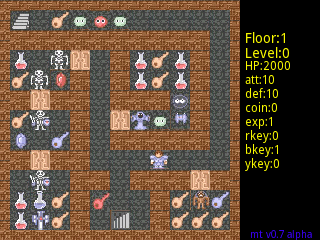 An adventure game where you must explore a tower, fight enemies, collect keys, and buy powerups. An adventure game where you must explore a 50-level tower, fight enemies, collect keys, and buy powerups. Has a lot of text in Chinese. 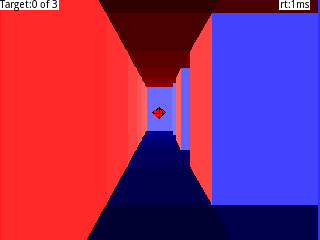 A 3D game where you need to eat 3 red diamonds and then eat the cyan diamond to win. Press alpha to step forward and shift to go backward, and use the touchscreen to look around. 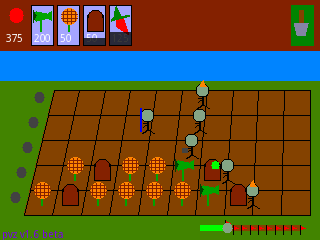 Similar to the popular phone game, where you control the plants and must protect the garden from zombies. 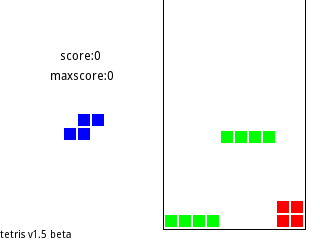 A game where you slide a box around on a square graphic. 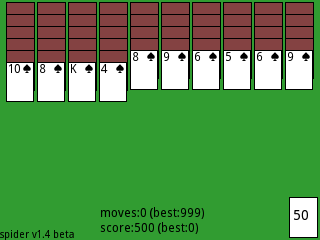 Card game of Spider solitaire. 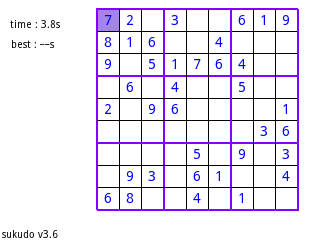 A set of tools for working with Sudoku, allowing you to play the game, solve the game, or make the game. 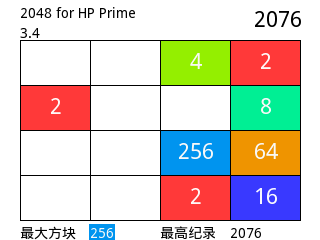 An implementation of a software virus for the Prime. Includes an antivirus program, too. Do not run this unless you want to risk losing data on your calculator.